1. Finding the appropriate dose of calcineurin inhibitors (CNI) in a HIV-infected kidney transplant recipient on combination antiretroviral therapy can be difficult. Which of the following medications have pharmacologic interactions with cyclosporine and tacrolimus? 2. True or False: Successful control of HIV viral replication (i.e., “undetectable” viral load) always prevents HIV-mediated immunologic injury in the transplanted kidney. 3. 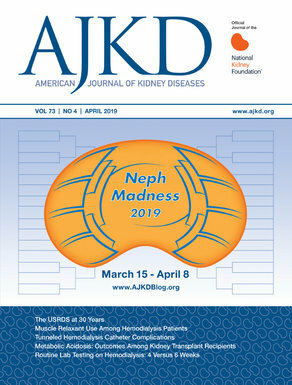 Compared to non-infected individuals who receive kidney transplants, what are the rates of acute rejection in HIV-infected kidney transplant recipients? Post prepared by Dr. Kellie Calderon, eAJKD Advisory Board member, Hofstra NSLIJ School of Medicine.